We’ve added a feedback tab to the BookGlutton site – it’s something we’ve been meaning to do for some time, so it feels good to get it out there. The Feedback tab just hangs out there on the right side of the screen. Act on impulse! Tell us if you run into problems on the site, right from that page. Share your suggestions for improvement. You can even automatically attach a screenshot of the page you’re on. 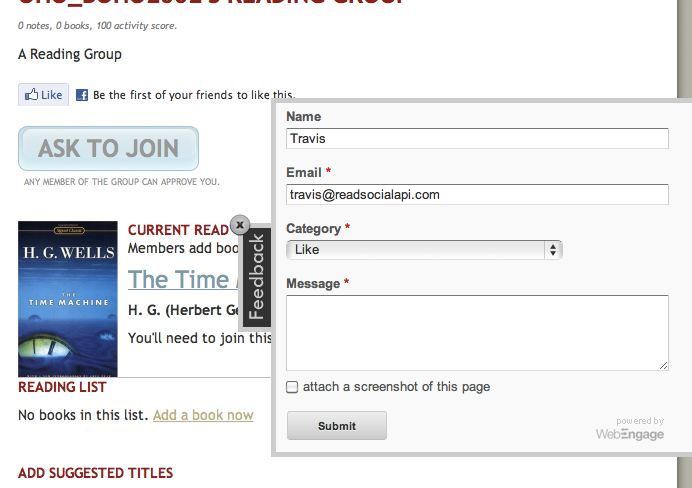 Every bug you track down, every recommendation you make, improves BookGlutton. Thanks for contributing to the experience.